Searching for a Reputable Comedy Stage Hypnotist? If you’re an entertainment booker or corporate party planner, we know you’re constantly looking for quality entertainment to liven up your next event. If you’ve found this article, you’re looking for a Comedy Stage Hypnotist that’ll give your guests a unique experience they’ll never forget. We want to help. The Incredible Hypnotist has hypnotized over a million people; rocked the house in over 6,400 shows; and has performed in 38 countries. We know a thing or two about putting together a show and want to pass along the do’s and don’ts of hiring a comedy hypnotist. Looking for a Master Comedy Stage Hypnotist? What Kind of Comedy Hypnosis Show Do You Want? To begin, we suggest writing down a clear objective for hiring an entertainer. Understanding your event will allow you to find the perfect hypnotist to really engage your audience. No two events are alike and so it’s important that you design the feeling you want achieved. This preparation will also weed out any wannabe comedy hypnotists that might deliver a dull or inappropriate show to your guests. Based on our two decades of experience, your show will likely fall into one of the following categories. Find the hypnosis show that best describes your objective and learn the insider tips of finding the perfect comedy hypnotist. Is your comedy show appropriate in a professional office environment? Does your comedy hypnosis show harass, degrade or embarrass participants? How does your corporate show material differ from other shows you perform? Have you ever had any issues with a corporate client’s HR department? How does your comedy show increase employee morale? Asking these questions will help you qualify a comedy stage hypnotist for your corporate event. The last thing you need is a human resources complaint. Make sure to find out if the hypnotist’s style matches your corporate image before finalizing the hire. If you’re a student activities coordinator and want to pull in record breaking attendance records, hire a comedy hypnotist that focuses on college appropriate content. Our college and university clients desire a show that’ll decrease student stress, entertain young collegiate minds and educate students about the power of hypnosis. Are you an educator as well as a hypnotist? Have you ever had a complaint or incident report filed by a student? How do you interact with the varying student personalities? Are your hypnosis methods different for college students? How do you control and harness the young crowd’s energy? Hire a hypnotist entertainer that’s able to answer these questions to your satisfaction. When done right, a campus hypnosis show will supply your students with an exciting entry into the mysterious world of hypnosis. Watch as Richard brings down the house over at the University of Central Florida. Finding a fair and festival hypnotist can be challenging. Your attendees’ demographics vary greatly in age and interest. Bookers for festivals have a responsibility to deliver high quality variety acts that’ll entertain the socks off guests. How do you promote your fair and festival shows? What are the age requirements for hypnosis show participants? What is your hypnosis show rider specs? Is your comedy show family-friendly? Can you guarantee your performance in rain or shine? Hire a seasoned hypnotist for your fair or festival and be prepared to have a satisfied crowd. This unique entertainment act will garner media attention, positive testimonials and memorable experiences for your event. Fair and festival entertainment bookers love The Incredible Hypnotist. Don’t believe us? Watch this short testimonial. As a cruise event coordinator or talent booker, you’re responsible for supplying your guests with an unforgettable experience. You must be certain that your onboard entertainment is punctual, professional and filled with pizzazz. Do you have enough material to perform a variety of shows each night? What is your hypnotist show’s minimum participant requirements? Do you have a reel or demo of the type of cruise show we can expect? Can you cater your show to fit a special ship theme or charter cruise? Can you supply me with cruise director testimonials you’ve worked in the past? There’s only one kind of comedy stage hypnotist you’ll need; a hypnotist with vast cruise entertainment credentials. Don’t be the ship that hires dull and boring “been there, seen that” acts. The Incredible Hypnotist Richard Barker has performed countless hypnosis shows for high schools and graduation events. The number one insider tip we can give you is to WATCH a video of the hypnotist’s complete student show. You don’t want any surprises when it comes to the well-being of your young adults. Is your show 100% clean of profanity and inappropriate topics? Does your high school hypnosis show require a parent waiver? What activities will you require students to participate in while hypnotized? How do you ensure that all embedded suggestions are removed after the show? Does your comedy show involve educating the students about hypnosis? 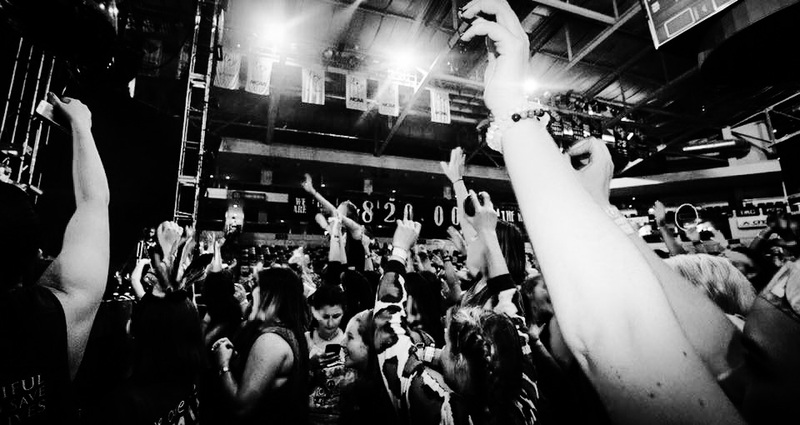 Treat your student body and give them an action-packed show that’ll form positive experiences. A stellar show will peak their interests into the human mind and will teach them invaluable lessons they can use in the future. Laugh out loud while you watch Richard Barker perform for students in this video clip. A highly-underestimated niche, sales team motivational shows can be an invaluable asset to your corporation. With a professional hypnosis speaker, you can entertain and teach your salesmen and saleswomen the power of hypnosis. Are you a certified hypnotist and/or hypnotherapist? What are your lesson plans for teaching covert hypnosis? Will you be demonstrating the power of selling hypnotically? How can you train my sales team to use NLP (Neuro-Linguistic Programming)? Do you have a book or seminar handouts to provide to my sales team? Our last bit of advice when hiring a hypnotist to entertain and train your in-house sales team… hire Richard Barker (period). You want someone that has an extensive and unique background in teaching, entertaining and discussing how hypnosis can be used to sell your product or service. Click here to watch a video showcasing the types of testimonials the Richard Barker sales team hypnosis show receives. We hope this article helps you on your journey to finding the best hypnotist comedy show for your unique event. If you have any questions whatsoever, please don’t hesitate to contact us directly. If you would like to book The Incredible Hypnotist Richard Barker for your event, fill out our stage hypnotist contact form here to start the conversation. We welcome your phone booking inquiries as well. Reach us by phone at 407-435-3872 or 1-800-658-1273. Learn More About Comedy Stage Hypnotist Richard Barker. This entry was posted in Blogs, College Hypnosis Shows, Corporate Hypnosis Shows, Fairs and Festivals Hypnosis Shows and tagged Booking a Stage Hypnotist, College Hypnotist, Comedy Hypnotist, Comedy Stage Hypnotist, Corporate Comedy Hypnosis Shows, How to find a comedy stage hypnotist, Hypnotist Comedy Show FAQs, Hypnotist Speaker, Questions to Ask a Hypnotist, Sales Training Hypnosis, Stage Hypnotist. Do comedy hypnotist shows really work?